Foreword by C.G. Jung 1. The Unconscious as the Real Object of Psychology 2. A Demonstration of Analytical Practice 3. 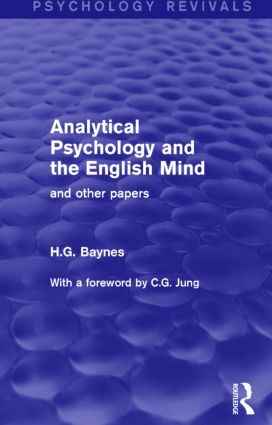 Analytical Psychology and the English Mind 4. The Provisional Life 5. The Psychological Background of the Parent-Child Relation 6. Freud Versus Jung 7. The Importance of Dream-Analysis for Psychological Development 8. The Ghost as a Psychic Phenomenon 9. Jung’s Conception of the Structure of Personality in Relation to Psychical Research 10. On the Psychological Origins of Divine Kingship 11. What It Is All About. Index.